Alex Campbell and the Grizzlies host the Coquitlam Express on Friday night. The Island Division-leading Victoria Grizzlies (19-9-1) are still trying to process their shocking 7-4 loss Wednesday night in Duncan to the division-trailing Cowichan Valley Capitals (7-17-5). “The intensity was not there, and we have to learn from that,” said Grizzlies forward Alex Campbell. The Grizzlies will try to make amends this weekend at The Q Centre with B.C. 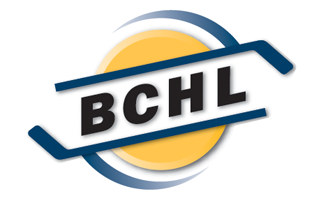 Hockey League home tilts tonight against the Coquitlam Express (15-11-1) and Sunday afternoon against the West Kelowna Warriors (16-12-1). “We were trying to look too much for offence and break out too quickly,” said Campbell. That’s understandable when you are the highest-scoring team in the BCHL. But there are two ends to a rink. “We definitely have to make defence first to be successful,” said Campbell. Campbell is one of two Grizzlies players cited by Central Scouting for the 2019 NHL draft. That main scouting combine has Alex Newhook pegged for the top half of the first round and Campbell for the fourth to seventh rounds, although other prognosticators have Campbell moving up as high as the third round. “I am still motivated to go higher, but there are no expectations,” said Campbell, who wasn’t on any draft boards when he came to the Grizzlies from Montreal this season. Newhook leads the BCHL in scoring with 46 points while Campbell is tied for seventh with 37 points. 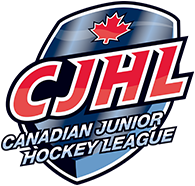 Campbell and Newhook will join Grizzlies teammates Riley Hughes, a 2018 NHL draft pick of the New York Rangers, and defencemen Carter Berger and Jeremie Bucheler at the Team Canada West selection camp beginning Monday in Calgary for the 2018 World Junior A Challenge next month in Bonnyville, Alta., which will also feature Team Canada East, Russia, Czech Republic and the U.S.
“The five of us bring different styles and aspects to the camp,” said Campbell. The five Grizzlies will depart for Calgary on Monday morning. LOOSE PUCKS: The Surrey Eagles, mired in last place in the BCHL, have fired GM and head coach Peter Schaefer and replaced him on an interim basis with assistant coach Linden Saip. Saip, a former Eagles player who also played in the WHL with Kamloops and Vancouver, will be assisted by former Campbell River Storm bench boss Lee Stone.